After its release to IOS, Ubisoft is expected to bring its latest action-adventure stealth game Assassin's Creed Identity to Android devices early this year (Feb 25th on IOS). If you're into free-to-play conspiracy, assassination, and adventure games then this one might be right up your alley. 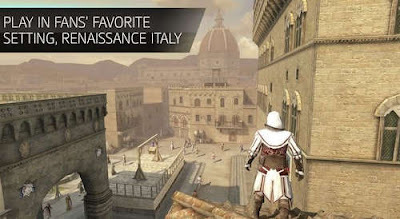 First let me tell you, Assassin's Creed Identity (APK download) is the only game of its kind that brings the full blown authentic AC experience to mobile. The theme, gameplay, and overall experience will seem overly familiar to fans of the franchise. You play as an assassin back in Italian renaissance era and go on dangerous quests that involve a lot of running, gunning, and stealth gameplay. The action of the game takes place in the Coliseum, Florence and other familiar locations in Renaissance Italy, known to fans of the saga from the Assassin’s Creed II and Assassin’s Creed: Brotherhood games. As you move through those places you collect items that will help you understand the story behind it all. Although it's not that much immersive of a story, the action-packed missions will keep you entertained. You can sneak, you can stab, you can climb, and do a lot of things. Assassin's Creed: Identity allows you to create your own custom assassin. Choose and take control of one of the four available classes (Berserker, Shadowblade, Trickster..) each with their unique abilities and equipment. You can customize your hero (outfits, color, etc) using different items through a user-friendly crafting system. Once set, you start the storyline missions featuring dozens of randomly generated quest types. 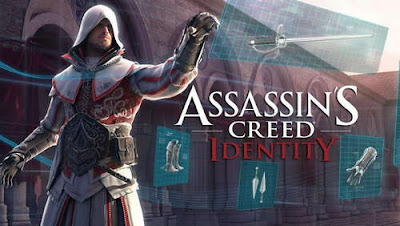 Compared to the previous installments in the Assassin’s Creed mobile series, the gameplay mechanics in Identity seems to rival console titles in its quality. The devs seem to have done a stellar job designing the renaissance cities through which we go on our quests. 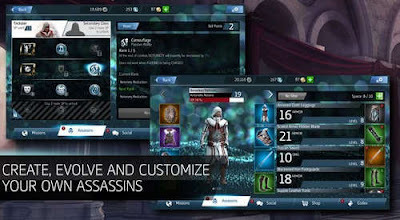 As to the controls, this Android version features two movement models involving a standard virtual pad to control our assassin's movement, or by pointing the direction we want to move in or the target we wish to attack similar to classic RPG gameplay. 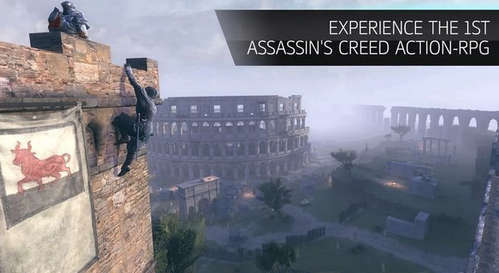 As for the visuals, Ubisoft has rendered the graphics with custom-made HD textures, shaders, and models based on the Assassin’s Creed console titles. That's all I can say about that at the moment which seems to be enough! After the initial testing of the pre-release version, the game seems to suffer from some expected issues. Other than that, AC Identity is free and has in-app purchases as a revenue model but that's not set in stone and Ubisoft may move to a pay-once premium model (EDIT: the game will be released as a premium title!). An online mode should also be expected in the final release with some leaderboard system (without PvP modes probably). As to free-roaming, according to Ubisoft, you can free-roam during the short missions but there is no open free-roaming mode. 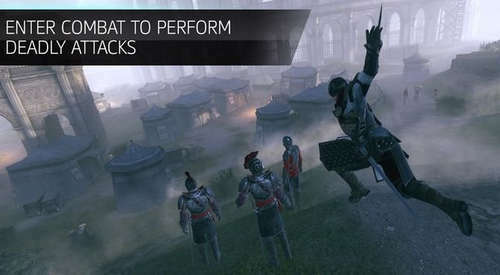 Assassin's Creed: Identity will allow you to fight using swords, assassinate targets using knives, a stealth mode lets you hide in the crowd and kill silently, and can hide behind haystacks if you are about to get caught. All the typical elements that make up an Assassin’s Creed game will be incorporated into this one to bring about a genuine AC experience. So hold on to your pants guys! this is going to be epic! The good news folks is that you wouldn't have to wait too long as the game is expected to come out in the first quarter of 2016. In the meantime, check out this video for the beta version gameplay by TouchGameplay. UPDATE: AC Identity will be released on February 25th on IOS (as announced on its official Facebook page) and we expect the Android release to follow after that!